BANTEN - Ministry of Transportation cq. The Directorate General of Sea Transportation has launched 1 (one) unit of Buoy Tender Vessel namely KN. KALIAN Thursday (10/8) at Shipyard PT. Caputra Mitra Sejati, Serang Banten to support navigational tasks in shipping safety. Ship KN. 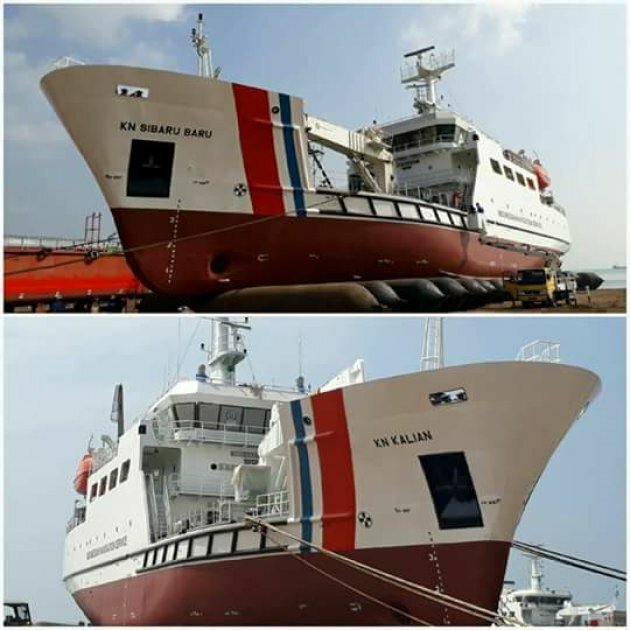 KALIAN launched today is one of 2 (two) units of Sea Transportation Submarine order of Directorate General of Sea Transportation built at shipyard of PT. Caputra Mitra Sejati, where 1 (one) other ship, namely KN. SIBARU-BARU was first launched on July 12, 2017 ago. The launch was marked by a ribbon cutting process and siren button presses by the Director General of Sea Transportation A. Tonny Budiono who was represented by the Director of Navigation I Nyoman Sukayadnya, and President Director of PT. Caputra Mitra Sejati Chris Pramono, followed by the launch of the Buoy Tender Vessel to the harbor pool. Note: The Buoy Tender Vessel, design by Terafulk Ship Design, build by PT. Caputra Mitra Sejati.